I finally got up the nerve to open my first aid kit. And it was filled with . . .
Not as good as $100 bills, but better than a severed finger. 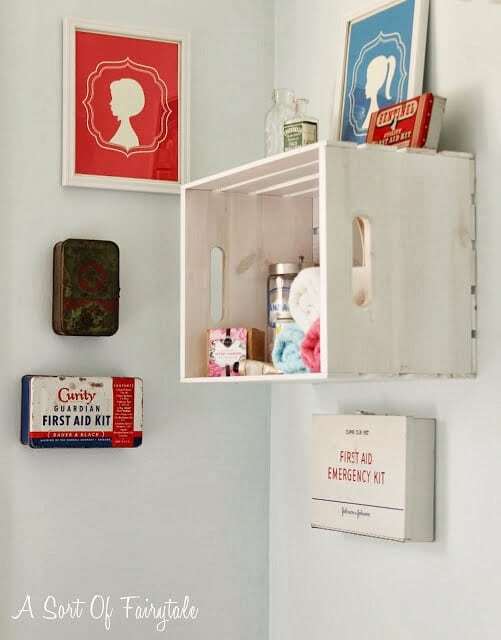 In case you are wondering what I want a first aid kit for, I sort of fell in love with them when I saw Stacey from A Sort Of Fairytale‘s bathroom makeover last year. 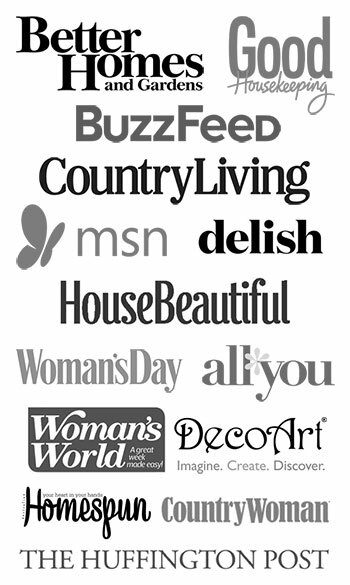 And Breida from Breida With A B used a few in her equally as cool bathroom makeover recently. So ever since seeing those bathrooms, rusty first aid kits have taken on a whole different meaning in my mind. I love it when something totally useful and ordinary becomes a piece of art. But we all know that in order to officially have a collection of them, I would need at least 3 kits. Well, I have my new Red Cross box. 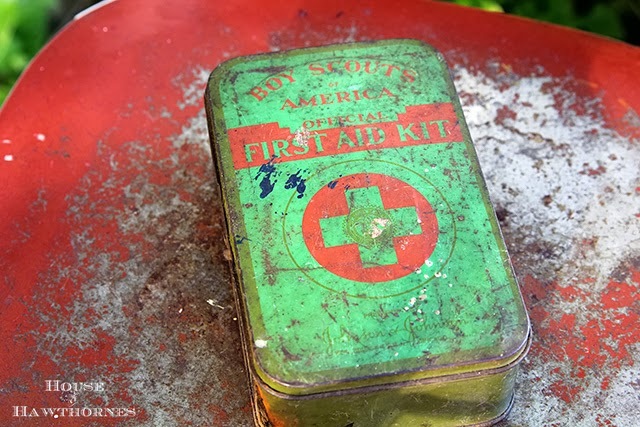 And my niece had given me this Boy Scout first aid kit a few weeks ago. If you want to be technical, I guess if I add my son’s Spongebob band-aid container it would be my third. But, I think I’ll hold out for another first aid kit of the rusty and crusty variety. How very cool. Its terrible but I don’t own an actual first aid kit per say……just plasters and some dettol really! In the bathroom, with a first aid kit ….**heehee**. Mystery solved! Glad there were not creepy severed body parts in there. Too bad about no $100.00 bills though. Have a great weekend, and sleep better tonight… now that the mystery is solved. 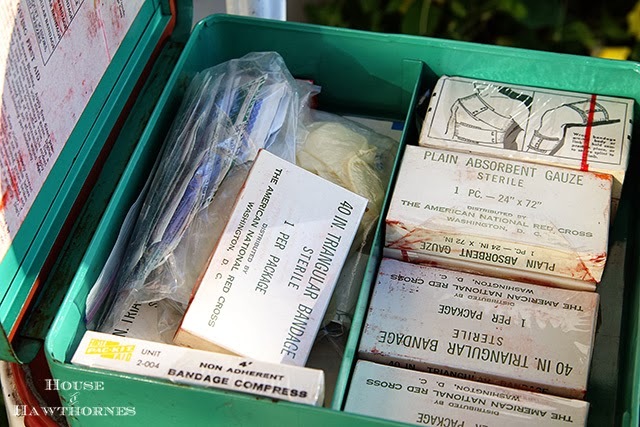 I totally see why you are smitten with those first aid kits. I love the inspiration and I know you’ll do something equally fabulous. PS. I’ll trade you some Toy Story band-aids for some Spongebobs! What goes with green and turquoise? Sponge Bob’s eye balls, and what else? Oh,yes, the Sponge Bob green box. 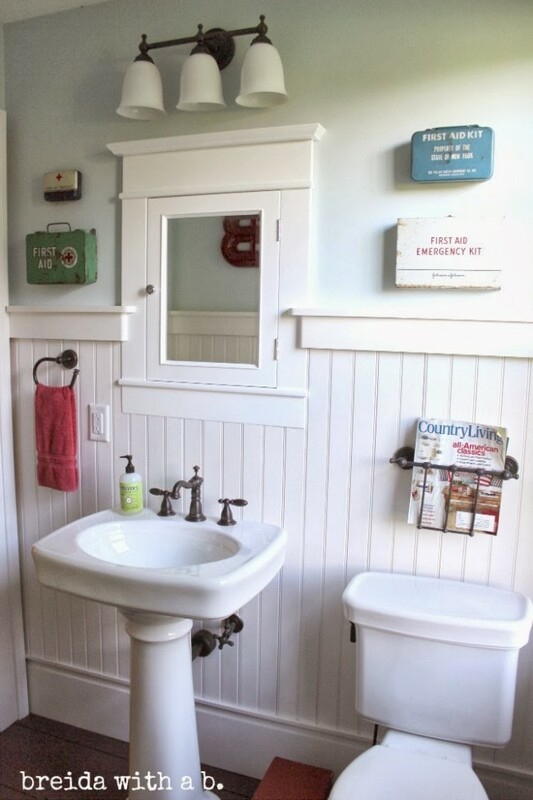 What a great idea for the bathroom–I like it too. 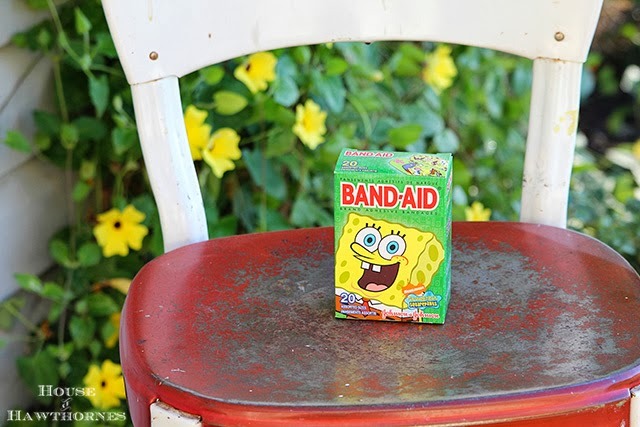 We need to put away some of those spongebob bandages–give it a few years and we will all be wanting them! What a fantastic idea…I’ve been curious what was in the kit. Can’t believe it was that chalk full of goodies. Can’t wait to see what you do…You’ve got your collection and Sponge Bob will give it legitimacy among the you crowd! What a unique idea! They look so cool as decor. You were lucky to get the boy scout one. Fabulous idea. I think you should go out and find a severed finger while the Halloween stuff is still out and stick one in that box. That way when someone screams, you will know they were snooping in your bathroom! Those are cool. Have you ever seen a doctor’s bag from the civil war? Those are cool, too. Everything a torture chamber would need. Bone saws and probes to see how deep a bullet it. If you get time, google one. They are hard to come by. 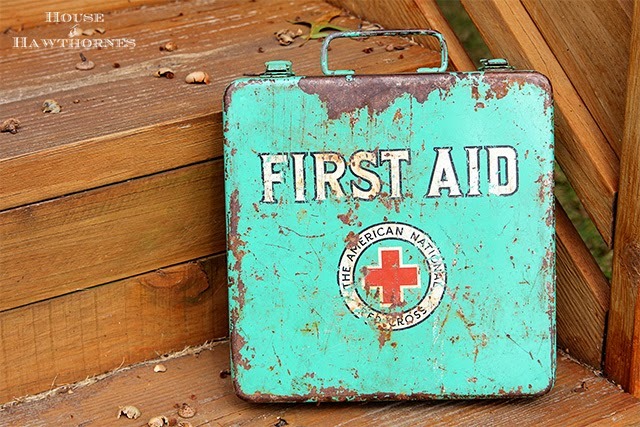 LOVE the First Aid kits. Glad you peeked inside. Curiosity would have killed me. Sorry no wads of cash inside, but it could have been worse, right? I love those 2 bathrooms you featured, too. Good luck on the quest to find your 3rd kit! 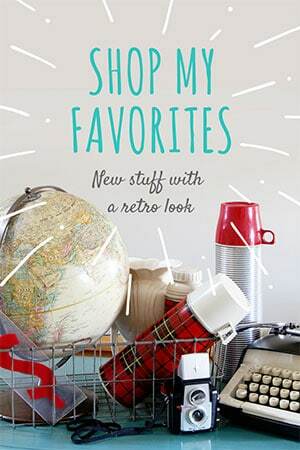 you have the perfect start to your collection. Can’t wait to see how you use it. I’d really like a Boy Scouts one – it’s pretty cool. After I wanted one & bought it spontaneously at an antique market, looked them up online & saw the Boy Scouts ones. Such a cute idea. I have the feeling once you get three, the collection will still grow!! Number three (and more) will find you. Now your eyes have been opened. The things inside are wonderful! People will want those labels if not the whole kit supplies. You can fund your kit search by selling scanned labels. I had a pink colored sewing basket just like that when I was a kid. I don’t know what ever happened to it. It was around when my kids were little. I suppose it was lost in a move somewhere along the way. I went over and copied that apple cake recipe over. It sounds delicious. I don’t know if you should bake in that jello mold, Pam. It is probably aluminum and I don’t know how it would interact with the heat if it is not tempered properly.